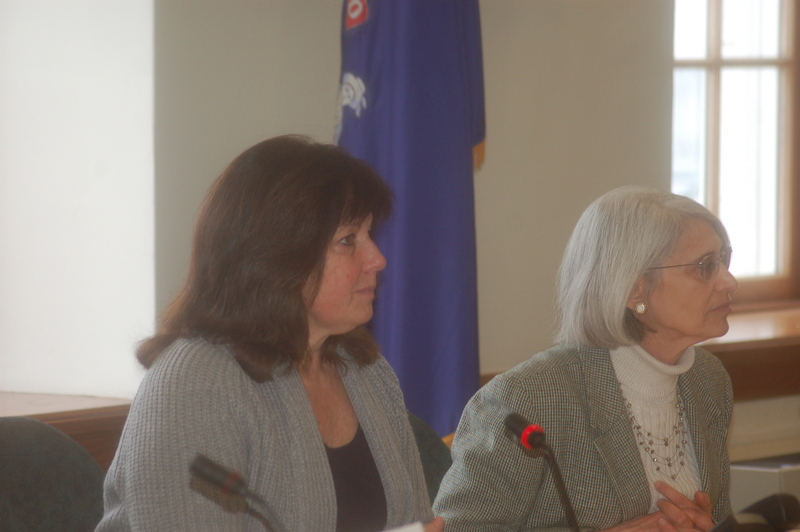 One day after Governor LePage, DHHS Commissioner Mary Mayhew and others held a press conference in the governor’s cabinet room to roll out multiple EBT/ TANF reform measures, the bills were presented to the Legislature’s HHS Committee at a public hearing. 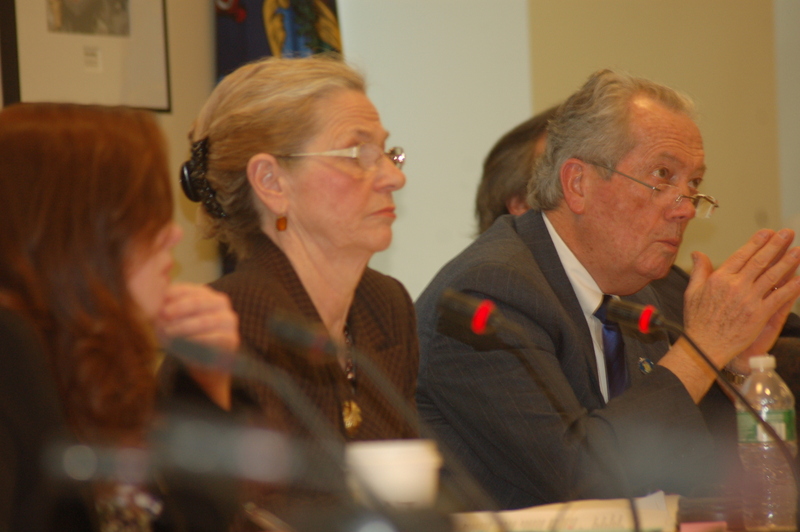 After hearing the bills presented and discussed by supporters and opponents at a public hearing, the committee met again for a work session on Wednesday. Ultimately the committee passed LD 1822, as amended, which would prohibit the use of electronic benefit transaction (EBT) cards in smoke shops, expanding upon current law that prohibits their use at liquor stores, strip clubs and casinos, sanction individuals who misuse the card, notify recipients of temporary assistance that funds should not be used to purchase tobacco or alcohol or used to post bail, require recipients to sign an understanding of where EBT cards could be used and send similar notification to merchants. They also passed LD 1820 (amended as a resolve), which would direct the Department of Health and Human Services fraud unit to work with the Attorney General to investigate and prosecute the use of Maine-issued EBT cards out of state by non-residents and report back to the committee on its efforts. LDs 1815 and 1842 were rejected by the majority of committee members, with harsh criticism leveled at LePage by the HHS Committee chairs. Some statements from opponents are below. Here are (in order of speakers) clips from the public hearing on Tuesday. All bills will now go before the Legislature. 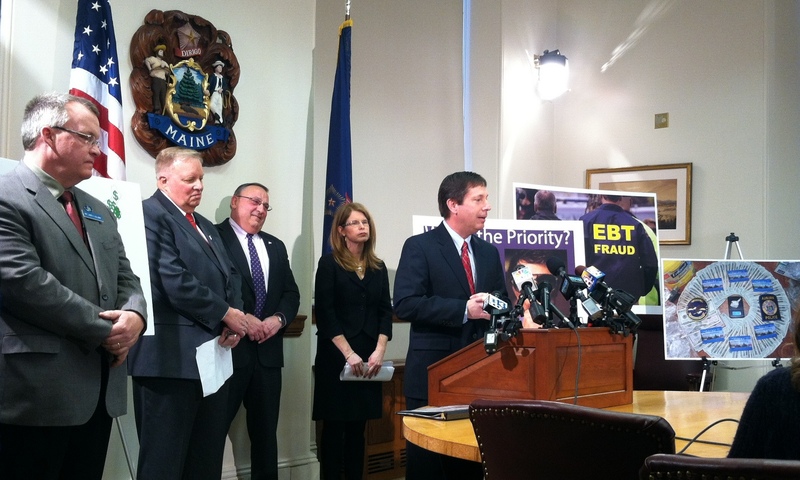 Earlier this week, a press conference was held in the governor’s cabinet room as Maine Governor Paul LePage, DHHS Commissioner Mary Mayhew, House Minority Leader Ken Fredette (R-Newport) and Lewiston Mayor Bob Macdonald spoke on 4 bills restricting usage of EBT/ TANF benefits. 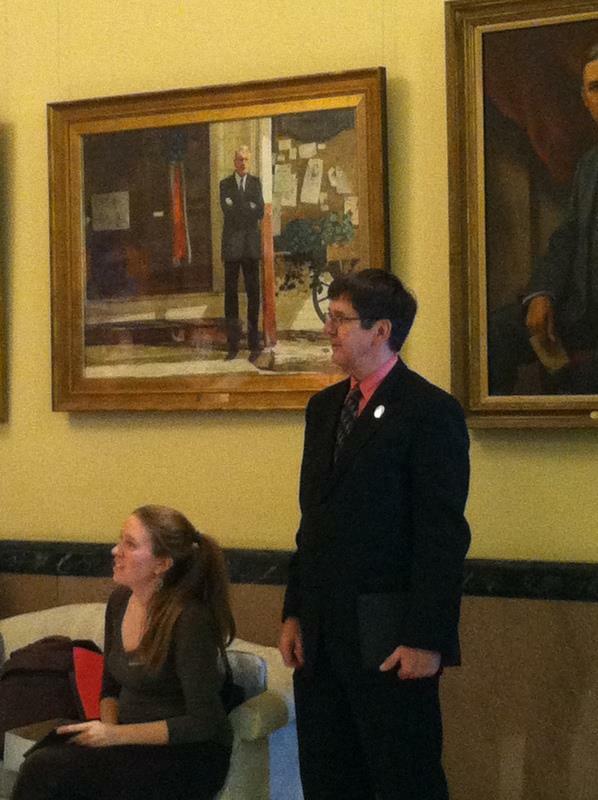 Rep. Fredette addresses media during press conference. Removes state exemptions allowing TANF recipients to get around the federal work requirement. 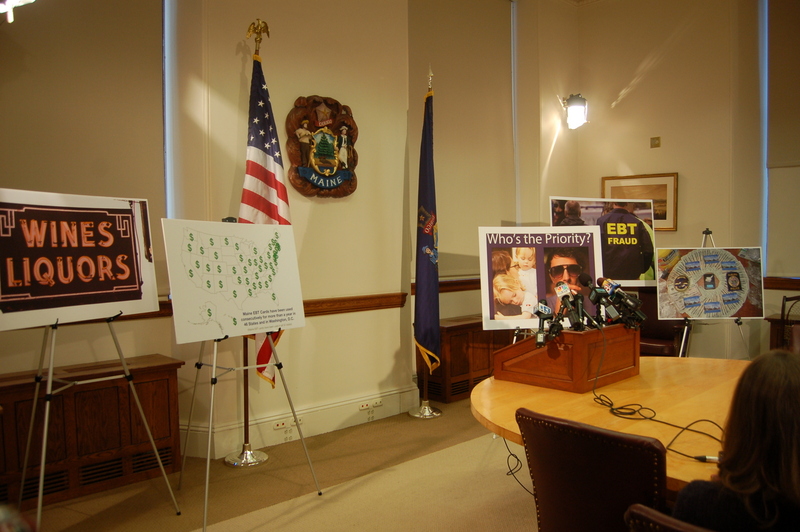 Here are clips of the entire press conference, including a parsed-out moment at the beginning where the Governor provided cover for his embattled DHHS commissioner from media questions. Monmouth, Maine – The British are coming to Monmouth for Theater at Monmouth’s 45th season. The British Invasion, running from June 28 through September 28, 2014, features a line-up of plays from England’s greatest playwrights. In celebration of Shakespeare’s 450th and TAM’s 45th, the Summer Repertory will include William Shakespeare’s As You Like It and Romeo & Juliet; Oscar Wilde’s A Woman of No Importance; and Joe Orton’s What the Butler Saw. Opening June 28, the Family Show is a world premiere adaptation of Andrew Lang’s Tales from the Blue Fairy Book. The Fall Musical, opening September 18, is The Sorcerer, the second production in a three-year commitment to Gilbert & Sullivan. Since its founding in 1970, TAM has produced more than one hundred of Shakespeare’s works and many other British classics both during the Summer Repertory Season and throughout Maine. Performances take place in Cumston Hall, a 250-seat Victorian opera house designed by Harry Cochrane. Since its founding the Theater has rehearsed and performed in rotating repertory, inviting audiences to see the actors in different roles in four different shows in one weekend. Each of this season’s six productions features newcomers as well as TAM favorites including Mark S. Cartier, Janis Stevens, and Bill Van Horn. When Rosalind and Orlando are banished from the court by the usurping duke, they flee for their lives into the wild. It isn’t long before the lovers find each other and act out a bizarre ritual courtship that ends, as all good comedies do, with everyone paired up two-by-two. Catherine Weidner is a director, actor, and chair of the Department of Theatre Arts at Ithaca College. Recent directing includes: Jane Austen’s Emma for Nebraska Repertory Theatre; Taming of the Shrew, Titus Andronicus, and Merry Wives of Windsor for Illinois Shakespeare Festival; Two Gentlemen of Verona for Theatre at Monmouth, and a one-man Henry V in Austin, Texas for Rude Mechanicals. She has worked at The Guthrie Theater, Theatre de la Jeune Lune, La Jolla Playhouse, and Bread & Puppet. From 2007- 2013 she taught Classical Acting and Heightened Text at The Theatre School at DePaul University. In this dark comedy of serial seducers, moralizing monogamists, secret pasts, and simmering heartbreak, which will the idealistic George Arbuthnot choose—social advancement or loyalty of the heart? Surely the basis for Downton Abbey, Wilde’s deliciously witty satire lays bare the moral contradictions of Victorian England. Will Rhys was artistic director at The Cleveland Play House where he directed over 25 productions including plays by: Shakespeare (Romeo and Juliet); Charles Dickens (A Christmas Carol, A Tale of Two Cities); Sam Shepherd (Buried Child); and Ferenc Molnár (The Guardsman). Regional credits include The Elocution of Benjamin Franklin at Milwaukee Repertory Theatre; and Macbeth, The Importance of Being Earnest, and Is He Dead? at Theater at Monmouth. Mr. Rhys is a founding member of The National Theatre of the Deaf and served as Artistic Director from 1992 to 2000. In a world consumed by self-interest and divided by hatred and mistrust, Shakespeare’s impetuous young lovers defy family, friends, and society to be together. With no one to turn to but each other, Romeo and Juliet provoke both fate and fickle fortune in their quest for pure and passionate love. Producing Artistic Director Dawn McAndrews directs Romeo & Juliet in her fifth season with TAM. Dawn has worked as a director, producer, and educator at theatres across the country including Shakespeare Theatre Company, Steppenwolf Theatre, Arena Stage, Portland Stage Company, and Shakespeare Festival St. Louis. Directing credits include The Language Archive (Public Theatre), The Glass Menagerie and Three Days of Rain (1st Stage) Sarah Ruhl’s Eurydice (The Orange Girls) and Timberlake Wertenbaker’s Antigone (Saint Louis University). TAM credits include The Mousetrap, On the Twentieth Century, Romeo & Juliet, Henry IV Part 1, Of Thee I Sing, Hamlet, The Year of Magical Thinking, and This Wonderful Life. When a psychiatrist invents a series of outrageous lies to cover up his attempts to seduce his young secretary, all manner of mayhem breaks out in the ward. Clothes are discarded, sensibilities skewered, and political correctness flouted in Orton’s risqué and ferociously playful farce. Brian P. Allen is the co-founder and artistic director of Good Theater, a professional company in Portland (www.goodtheater.com) where he has directed more than 40 productions. Recent favorites: Clybourne Park, The Grand Manner, Becky’s New Car, The Outgoing Tide, Good People, Striking 12, Death by Design, August Osage County, Next Fall, and Little Me. He has appeared in several Good Theater productions including Ancestral Voices. Each summer, TAM presents a play for children of all ages adapted from classic literature. Lang’s Blue Fairy Book bursts with classic tales from around the globe, including East of the Sun West of the Moon, The Bronze Ring, The White Cat, The Stars in the Sky, and more. From princesses to fairies, kings to dwarfs, there’s a magical happily ever after for both girls and boys. The Fall Musical features talented voices and musicians from Maine and professional actors from away. What happens when a magically brewed cup o‘tea intoxicates unsuspecting residents of an entire community? Alexis, a young man obsessed with the idea of love leveling all social distinctions, engages J. W. Wells & Co., Family Sorcerers, to find out. When the potion causes everyone in the village to fall in love with the first person they see—the results are mystical mayhem. Associate Artistic Director Bill Van Horn returns for his thirteenth season to direct this comic gem from G&S. Van Horn also frequently acts, directs, and writes for the acclaimed Walnut Street Theater. In 2013, he directed TAM’s Patience and appeared as Citizen in The Knight of the Burning Pestle, Professor Willard/Warren in Our Town, and Gremio in The Taming of the Shrew. 15th Annual Black Fly Follies | July 5 at 7:30 p.m.
Theater at Monmouth’s annual variety show returns featuring the talents of our summer company. Black Fly Follies goes British Music Hall with songs, comic routines, and variety acts popular in England during the turn of the 20th century. The Making of A Hard Day’s Night with Mark S. Cartier | August 7 at 7:30 p.m.
Point Last Seen with Odelle Bowman | August 14 at 7:30 p.m.
Hannah Nyala, search and rescue tracker, is so attuned to nature’s messages that she can read the history of a footprint and the secrets of desert sand. Adapted from the memoir of the same name, Hannah escapes an abusive marriage by teaching herself the skills of tracking in the Mojave Desert. Legends: The Music of Judy Garland with Kelly Caufield | August 21 at 7:30 p.m.
An engaging evening featuring many of Judy Garland’s most well-known songs and few surprises. Highlights include beloved hits from her movies, the Gershwin recordings, Broadway and cabaret standards, and more. Directed and co-written by Brian P. Allen. Music direction by Victoria Stubbs. Monmouth is located along Route 202 in the Winthrop Lakes region of central Maine. By car, the Theater is 25 minutes from Augusta, 25 minutes from Lewiston, 45 minutes from the Mid-Coast region, 60 minutes from Portland, and 90 minutes from Bangor. Monmouth and neighboring towns Winthrop, Hallowell, Augusta, and Lewiston offer a variety of attractions suitable for the whole family, including the Monmouth Museum, Cobbossee Colony Golf Course, Mount Pisgah Hiking Trail, Children’s Discovery Museum, Maine State Museum, Viles Arboretum, Bates College Museum of Art, Thorncrag Nature Sanctuary, and more. You can enjoy your stay in Monmouth at one of the several bed and breakfasts or nearby hotels, including Annabessacook Farm B&B, Maple Hill Farm B&B, A Rise and Shine B&B, the Hilton Garden Inn, and The Senator Inn & Spa. All performances take place in historic Cumston Hall, which towers dramatically over Monmouth’s Main Street. While Dr. Charles M. Cumston donated the funds for the building to the Town of Monmouth in 1899, it has always been a gift shared with the community at large. A registered National Historic Building since 1976, the building’s architecture is a mix of Romanesque-style asymmetrical columns and towers and varying external textures of the Queen Anne period. The 250-seat opera hall features elaborate plaster carvings, and a fresco mural ceiling. Single tickets for Summer Repertory and Fall Musical $30 for adults, $27 for senior citizens, and $20 for students. Tales from the Blue Fairy Book tickets are $15 for adults, $10 for children. Opening Nights are Educator Nights. Educators receive 20% off with photo id. To reserve single tickets, subscriptions, or arrange group sales, please visit our website, www.theateratmonmouth.org, or call the box office at 207.933.9999. You can find us on Facebook at www.facebook.com/TAMonmouth, follow us on Twitter at http://twitter.com/TAMonmouth, and stay current for latest updates on our blog. 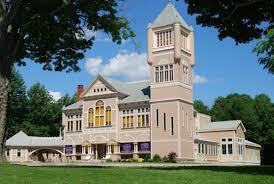 Theater at Monmouth, founded in 1970, was named the Shakespearean Theater of Maine in 1975. The theatre’s mission is to present innovative approaches to Shakespeare and other classic plays through professional productions that enrich the lives of people throughout Maine. Since its founding, TAM has produced expertly crafted, engaging productions in its three-month Summer Repertory Season entertaining audiences from 36 states and through Education Tours annually reaching more than 15,000 students. Bonus: An overview clip of last season’s performances. 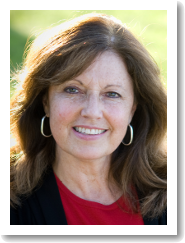 Augusta, ME – Democrat and self-employed small businesswoman Monica Castellanos announced her campaign had submitted the necessary signatures to appear on the ballot to represent House District 86, covering neighborhoods on the west and north sides of the city. Born and raised in Maine, Castellanos has spent the past 20 years working on state and federal issues, advocacy and economic development. Her career path and current bid for State House, she said, were inspired by her experiences growing up in neighboring Gardiner, where she was raised by a young single mother who often struggled to make ends meet. Launching her small business several years ago, Castellanos now works with Maine businesses and organizations across the state, including many that are involved with economic development. Prior to that, she worked as an advocate for women’s health care and the environment. 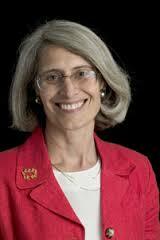 She also served nearly eight years as a senior member of Congressman Mike Michaud’s staff. Castellanos said restoring a positive sense of community and a willingness to work together will be a central theme in her campaign. Only then, she said, can state government focus on creating jobs and opportunity for the people of Maine. Castellanos attended the University of Maine at Farmington. She serves as Vice-President of the Westside Neighbors and on the Kennebec Valley Humane Society Board of Directors. More information on her bid for the Maine House of Representatives can be found at www.facebook.com/monicaformaine.